Vikki discovered her love of dance at the young age of 4. 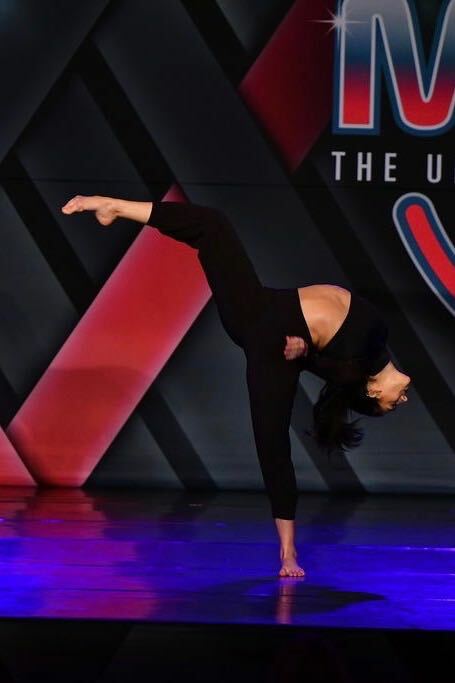 She joined the competitive dance team at Dance Inc. in Ajax, Ontario at the age of eight. Vikki trains extensively in jazz, lyrical, contemporary, ballet, tap and hip-hop. She has competed in Canada and the United States and has achieved the top 10 status at Nationals for the past five years. Vikki has attended and trained at a number of workshops and conventions in both Canada and the US where she has been awarded several scholarships. Vikki has been cast in The Next Step Season V, Over The Rainbow, and The Strain. When not in the studio or performing, she trains and teaches Taekwondo as a red belt. Her training in Martial Arts and dance have given her exception skills in the areas of self-discipline, determination and respect. Her hobbies include reading, drawing, and photography. Vikki hopes that she will be able to inspire other youth to follow their dreams, and never give up on what you want to achieve.